Silent Running (1972) | B-Movie BFFs! I watched this film many years ago, and recently re-watched as homework for the Bmoviecast podcast. Seeing it as a child, it seems it was one of those films that contributed to my impression of the seventies being an uninspired, alienating experience in Western life. This recent re-watch revealed a more optimistic film than what I’d remembered, but it still wasn’t particularly pleasurable viewing. 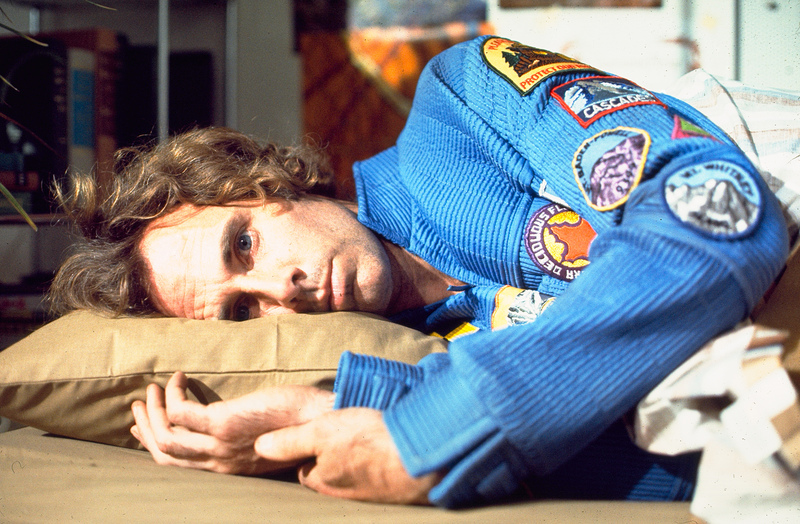 The plot, briefly: ecologist Freeman Lowell (Bruce Dern) is hanging out with three frat-boy co-workers in charge of maintaining the last of Earth’s ecosystems, which are now preserved in geodesic domes orbiting Saturn. Mankind is, apparently, doing fine on Earth although we have suffered somehow spiritually for our flora- and fauna-less lifestyle. Existence on Earth is never explained in any way that seems credible, and that’s one of the simplicities of the film that keep it a little flaccid. In any case Lowell, who has been holding onto the dream that someday these ecosystems will be re-installed on our mother planet, gets terrible news as to the fates of these domes and resorts to drastic measures in turn. So the film starts out sad and just gets sadder. Because Lowell is not a clear-cut hero: his cause seems right, but he is just an average guy, maybe a little more twisted than an average guy. Upon separation from his fellow men he starts and maintains a relationship with the droids on his ship – first out of necessity, and then out of a profound loneliness. 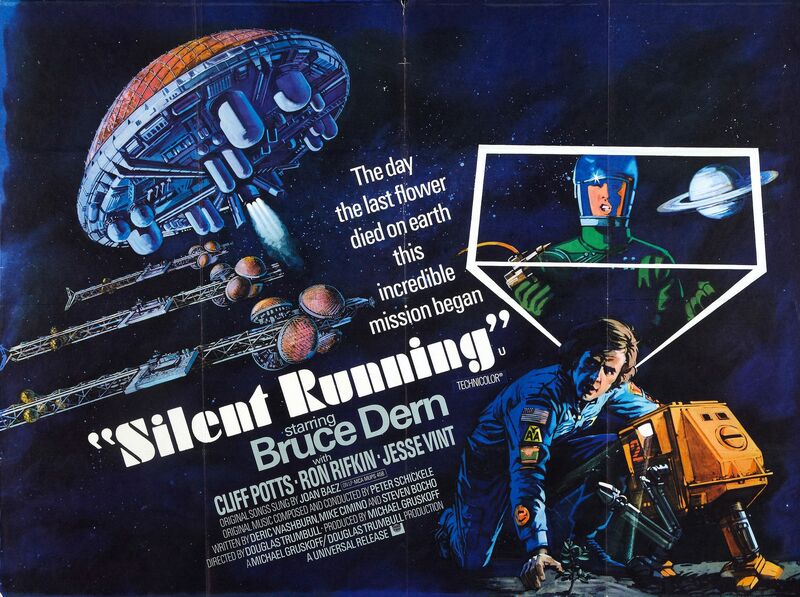 Silent Running is a somber, melancholic response to humankind’s concerns over our effects on the environment – a more sensitive, folk-songy take as opposed to the glut of “nature takes revenge” films, which seemed to also take hold in the seventies. Dern gives a great performance, but for the most part films like these supply little escapism of any kind, and I wasn’t too convinced of any “message” either. I won’t need to view it a third time.